ANZ is the first Australian bank to offer its customers the ability to pay for purchases using Apple’s digital wallet, Apple Pay. ANZ made the announcement this morning. “The introduction of Apple Pay is a significant milestone in our strategy to use digital technology to provide our customers with a superior experience and will be a watershed moment in the adoption of mobile payments in Australia,” the bank’s CEO, Shayne Elliott, said in a statement. “We are constantly assessing the best payment solutions for our customers, including Apple Pay,” a spokesperson for the Commonwealth Bank said. A Westpac Spokesperson said: “We are committed to providing our customers with quality products whilst staying at the forefront of seamless, innovative payment solutions. “We continue to work with all potential players in this space, but right now we have nothing more to say,” a spokesperson for NAB said. “Earlier this year, we successfully launched NAB Pay, our mobile payments service for compatible android devices, that is rapidly being adopted by our customers, and we look forward bringing further updates to market really soon. Apple Pay launched in Australia last year. However, until now it has been limited to Australian customers of American Express. 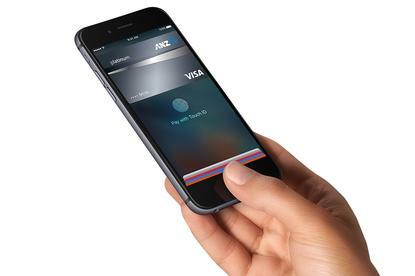 Apple Pay can be used for contactless payments at point of sale terminals as well as for online purchases. It works with the iPhone SE, iPhone 6s, iPhone 6s Plus, iPhone 6, iPhone 6 Plus as well as the Apple Watch. “With the high adoption rates of contactless payments in Australia, our customers will be world leaders in their ability to use their mobiles to make the vast bulk of essential payments,” Elliott said. ANZ customers with ANZ Visa debit or credit cards or an ANZ American Express card can use the service. Google’s Apple Pay competitor, Android Pay, will be available to Australians later this year. Banks supporting the Android Pay rollout include ANZ, Westpac, the Bank of Melbourne, the Bank of South Australia, Bendigo Bank, Cuscal, ING Direct, Macquarie Bank, and St George.